Baseline testing is a test that measures how well your brain functions. Many tests measure only the cognitive function of your brain. 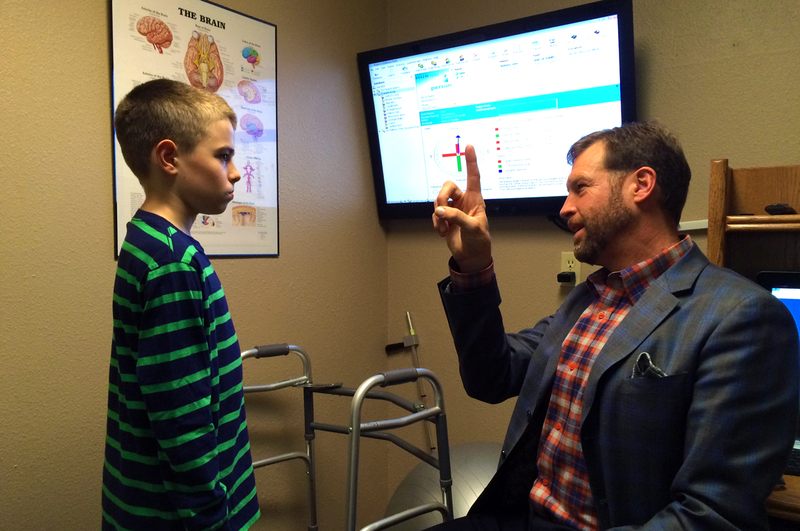 We at The Concussion Place (TCP) measure how well your brain functions in all areas including in cognitive, balance & equilibrium, vision, motor skills and internal body communication. Why is Baseline Testing so Important? Comparing post-injury test results to baseline test results can assist health care professionals in identifying the effects of the injury and planning an effective rehabilitation program and making more informed return to school and play decisions. What makes The Concussion Place Baseline Test Unique? It is Comprehensive, Full Spectrum and Dynamic. Cannot be sandbagged like traditional, self administered cognitive only tests. Sandbagged baseline: where the athlete purposefully scores lower on initial baseline test so that when he/she re-takes the test in event of suspected concussion, score won’t look so bad. Many pro-athletes have admitted to sandbagging. Doctor and Medical Assistant Administered. Includes neurologic exam to assess the nervous system, vision screening, balance & equilibrium, comprehensive health history and concussion history and more. The comprehensive baseline test can also lead to performance enhancement as it will highlight areas of existing weakness that can be corrected and/or improved upon. This testing and assessment process is 40 minutes to 1-hour & valued at $650. Because Dr. Gulla is committed to ensuring all our Colorado Springs and Colorado Springs Area Athletes are properly and efficiently baseline tested, he is offering the complete, Dynamic Baseline Testing and Assessment 82% off for only $120! Many colleges and professional sports are moving toward mandatory Concussion Baseline Testing. What an investment to get this done NOW! It’s more then sports, it’s care for your loved ones who love sports. What Are Common Symptoms of A Concussion? Please go to the Emergency Room if you suspect an individual has a concussion. For more information, please go to our Concussion Symptoms page. When Can I Seek Treatment For My Concussion? As long as you do NOT exhibit one or more of the above danger signs, you may seek care from a Functional Neurologist immediately. To facilitate an excellent recovery, we will first customize a plan for appropriate rest and appropriate nutrition for your brain. Then, from a treatment perspective, we offer “physical therapy” for your brain. Our goal is to identify the weak areas of brain function so we can create a plan to rehabilitate the associated injuries. If the injury or disease has occurred in the balance and equilibrium centers, we initiate a vestibular therapy plan. If in the visual centers, we begin a vision therapy plan. If memory, cognition, or emotions are the problem, we specifically design a plan to create stability in those specific areas of brain.